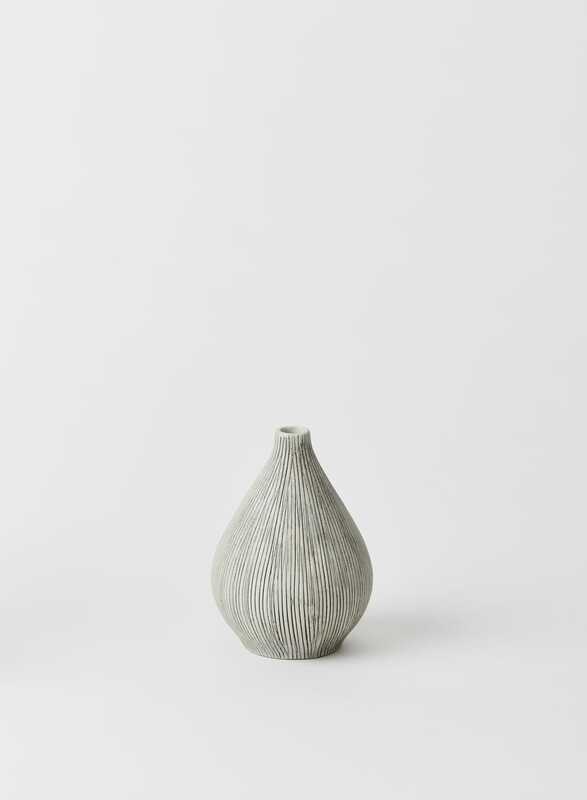 This Kobe grey striped bud vase is part of our stunning Lindform range. These vases have a unique beauty and are handmade in porcelain clay with a matte finish. The inspiration for the collection comes from Scandanavian nature with its organic tones and simple shapes.